Brunch in Bellingham Just Got Better! It's been awhile since I have posted anything new to this site, but thanks to a tip from a friend, this past weekend I discovered something that totally inspired me, so here is a little something new to share with you all. Some of you who know me already know my answer to the question: "If you could wish for just one thing that Bellingham offered that would make being vegan even better, what would it be?" For the past 15 years my answer has been the same: A place that serves vegan biscuits and gravy. Vegan biscuits and gravy are right up there with vegan mac & cheese--the long-sought-after comfort food-fantasy for many a vegan. Now, don't get me wrong, I happen to make a killer biscuits and gravy dish myself. But sometimes you want the option of going out with friends for, dare I say it, "brunch." Going out with friends for brunch on a weekend is one of the pleasures in life that has not really been an option for us local vegans. That is, not until... NOW! Thanks to the wonderful new Lovitt Restaurant that opened in Fairhaven about 6 months ago, we can now go out for vegan brunch and feast on (yes, my dream-food!) vegan biscuits and gravy! I cannot tell you how happy this makes me. 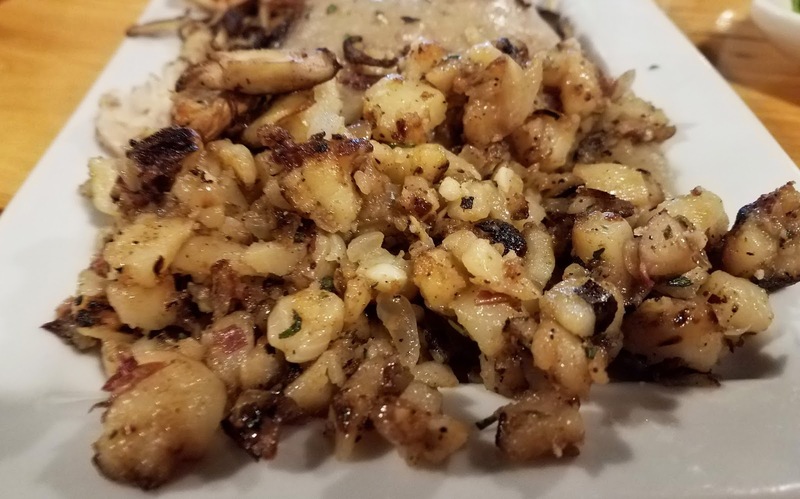 Lovitt Restaurant is a farm-to-table slow foods restaurant that uses fresh local ingredients and has something for everyone, be you omnivore, vegetarian, gluten-free, or vegan. 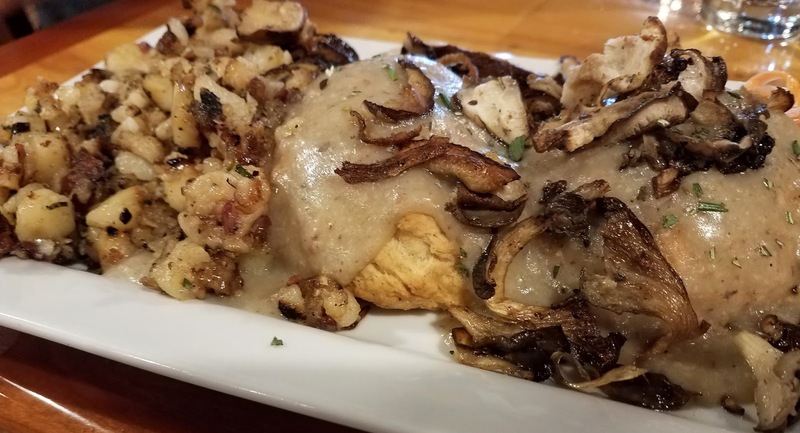 Their weekend brunch menu always includes vegan biscuits and mushroom gravy, and they will even make a vegan hash on request that can be added to this dish. (Make sure you ask that the hash be vegan so that they don't cook it in butter). The mushroom gravy is absolutely fantastic and my only complaint was that there wasn't more of it! 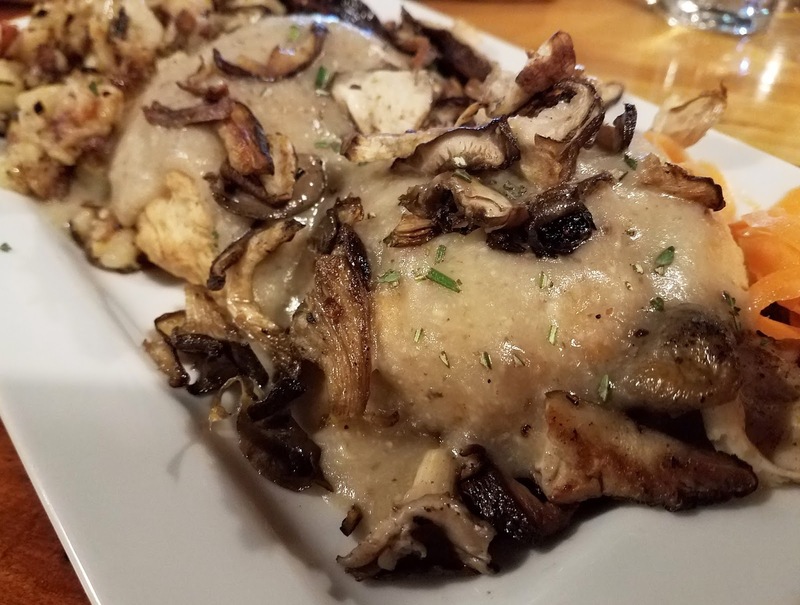 Next time I go I might ask if they can give me a little extra on the side so that I can drown my biscuits in all that mushroom goodness. The waitress who helped us was super-nice and also told me that there is always at least on entree on the dinner menu that can be made vegan, and that if I ever am planning a special occasion dinner or celebration, I can also call ahead to request they make something special. You're so welcome welcome !! !